Those Newberys are getting a little dry! I’m trying to pepper in at least one non-Newbery read a week, and I’m trying to keep it to things published in 2014, just to keep things extra fresh. 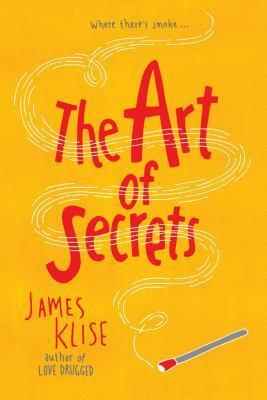 This week: James Klise’s new YA novel The Art of Secrets. The Chicago scene is pretty buzzy about this book. Klise is a librarian at a charter school in Chicago. The geographical and career proximity tickles me. When I bought my copy of this book from City Lit the bookseller was very enthusiastic. All reasons to get very excited! The book takes place at a fictional private school in Chicago located downtown. This allows Klise to pull his characters from neighborhoods all over Chicago, which is a fun detail for locals, and allows for a reasonably diverse cast of characters. The story centers on Saba Khan, a Pakistani girl from Rogers Park, whose apartment is set on fire while her family is at Saba’s tennis match. The rest of the novel revolves around trying to figure out how this fire started, and the school’s effort to help Saba and her family recover from the fire. 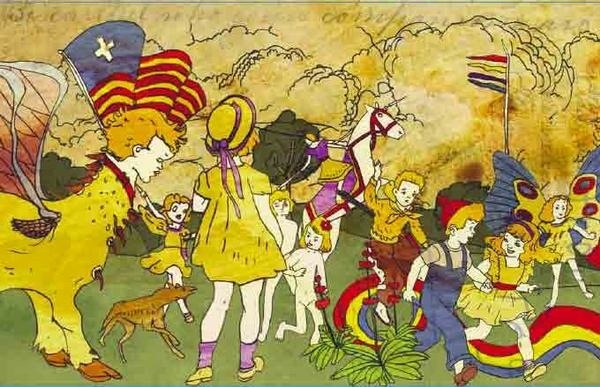 This ALSO leads us to another plot involving legendary Chicago outsider-artist Henry Darger. Some students who are collecting items for an auction to raise money for Saba’s family come across a set of paintings possibly painted by Darger. We spend the novel bouncing between the perspectives of Saba; Saba’s dad; Steve, Saba’s new boyfriend; Javier, an exchange student from Spain; the school principal; Kendra, the new girl who is organizing the fund raiser to help Saba; Kevin, Kendra’s brother; the gym teacher; an English teacher; and the art teacher. Its… a lot of perspectives. Somehow this all works, though! You would think with 2 major mysteries in the plot (the fire and the origin of the possibly very valuable painting) and with TEN different narrators (plus a chapter here and there that take the form of newspaper articles, emails, or letters) that the whole thing would be way too unwieldy. But Klise manages to balance it all in a way that moves the story along quickly and is still easy and enjoyable to follow. The characters’ voices are distinct enough that you don’t lose track of whose version story you’re in, and there is very little repetition of plot points. Each character gives you the information you need and then moves out of the way. Who wouldn’t love a book that centers around vaguely creepy paintings of sexually ambiguous children? … until the end. The ending! When I first read the book I enjoyed myself so much through the first 95% that when the ending smacked me in the face I thought “oh, that’s alright, it means well!” I put the book down and promptly gave it four stars on Goodreads. But the more I thought about it, the more the ending bugged me. It just didn’t fit with the elegance of the rest of the story. It just seemed so out-of-character (both specifically for the character involved in the ending and for the book itself). The more I sat with the ending, the less fond of the book I became. I’d still recommend this book to YA fans. If you’re a fan of the different narrator structure, this is a really well-done example. If you like a page-turning mystery, I read this book in a day, it will have you hooked. And I might be alone in hating the ending! And as hard a time as I had with it, it doesn’t change my overall recommendation. The rest is too fun.